In the foreseeable future we will be able to produce integrated solar panels that will allow office buildings to be energy neutral. Nanotechnologists have been working with special building materials to make this reality. One of the projects as a part of the DIAMANT project (diamant means “diamond” in Dutch) is the Nanosol project. The consortium partners of Nanosol develop a new generation thin film solar cells. Producers of building materials have integrated these thin film solar cells with normal roofing materials, and have installed them on the roofs of office buildings. One of the distinct characteristics of these innovative projects is a water cooling system that circulates through ultra-thin water channels. Also, there are two different kinds of semiconductor materials that are sensitive to different parts of the light spectrum. 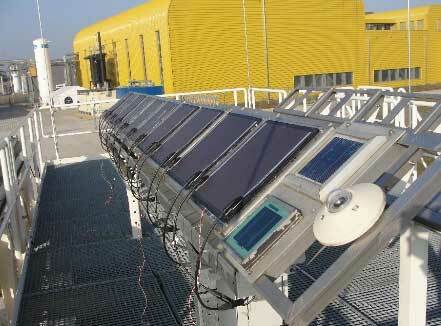 Both of these innovations increase the production capacity of the solar cells. The end-user of these panels can also use the warmth created by these cells for heating water as well as for electricity. The cooperative project is an example of a convergence of technologies: nanotechnology, manufacturing and energy technology. HyET Solar is responsible for the nanotechnology, the engineering company Wepro for the building materials and cooling, and DNV Kema for the energy technology. There are a total of 20 partners active in 6 separate cooperative projects within the DIAMANT project. The three core partners are Oost NL, (as lead partner); the German cluster organization NanoMikro+Werkstoffe Nordrhein-Westfalen (NMW.NRW); and Nano und Materialinnovationen Niedersachsen (NMN).